Robert Louis Stevenson (1850-1894) wrote novels, essays, letters and poetry. He is best known for classics such as Treasure Island, Kidnapped, and Strange Case of Dr Jekyll and Mr Hyde. In 1879 Stevenson began a romantic and adventurous journey to be united with his lover Fanny Vandegrift. After sailing in second-class on the Devonia from Scotland he traveled from New York City overland by train to California. The journey almost killed him. 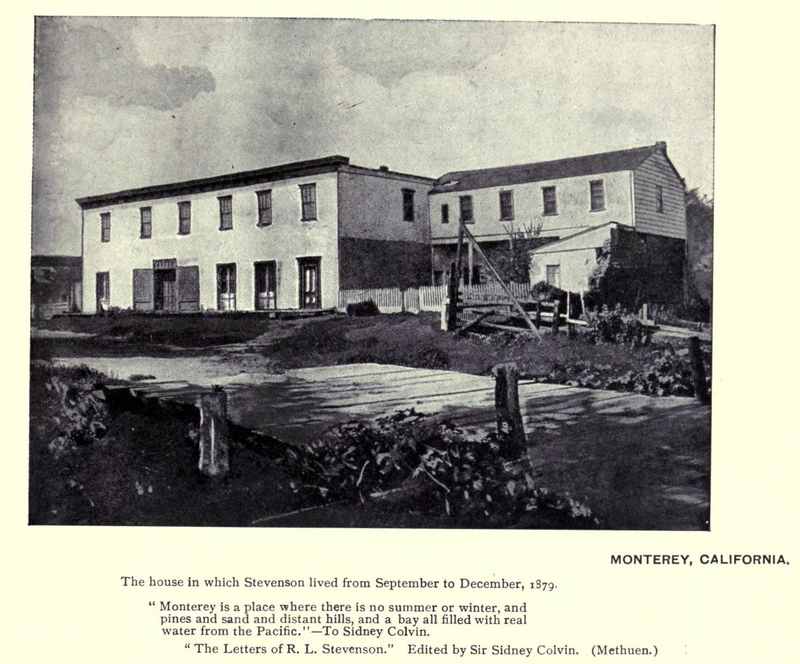 Stevenson recounts his journey across the US and his stay in Monterey in Across The Plains. He stayed in Monterey, California in the house below.